It’s no secret that Microsoft dominates office suite market, but that doesn’t mean it’s the only way to go. From open-source software to Web-based applications, there are so many alternatives to Microsoft Office. WPS Office (an acronym for Writer, Presentation and Spreadsheets, also known as Kingsoft Office) is one such designed with ribbon-based interface of Microsoft Office 2013, user-friendly functions and excellent performances. 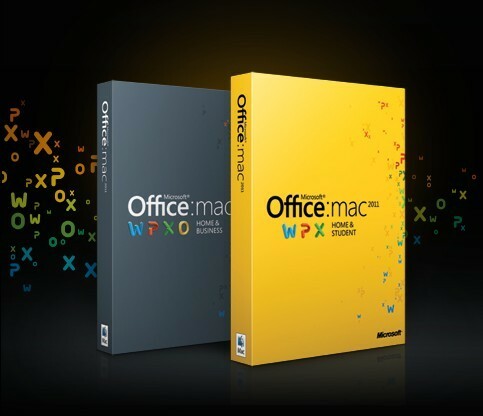 It is considered as one of the best alternatives to Microsoft Office With Low Price. WPS Office 10 Business Business Edition is one complete office productivity suite which consists of WPS Writer Premium (alternative for Microsoft Word), WPS Presentation Premium (alternative for Microsoft PowerPoint) and WPS Spreadsheet Premium (alternative for Microsoft Excel). With WPS Office 10 Business you can create, open, view, edit and save almost all documents produced using Microsoft Office. Furthermore, you can save your Kingsoft documents in the Microsoft Office format so other people can view and edit them without having Kingsoft Office installed on the same computer. With WPS Office 10 Business, you are able to fulfill data analyzing tasks in business, as well as turn your innovative ideas into illustrative documents or presentations. WPS Writer: Open, view and edit Word 97-2003, Word 2007-2010 .doc, .docx, .wps and .wpt formats; create, edit and save Word 97/2000/2003 .doc, Word 2007/2010 .docx, .dotx, .docm, .dotm, .wps and .wpt formats. WPS Spreadsheets: Open and view Excel 97-2003, Excel 2007-2010 .xls, .xlsx, .et and .ett formats; create, edit and save (97/2003/2007/2013).xlsx, .xlsm, .xls, .et and .ett formats. WPS Presentation: Open and view PowerPoint 97-2003, PowerPoint 2007-2010 .ppt, .pptx, .dps and .dpt formats; create, edit and save (97/2000/2003) .ppt, .dps and .dpt formats. Furthermore, Kingsoft Office has a multitude of features to match your daily requirements. The installation package of WPS Office is very small, allowing you to easily install and uninstall the software. Secondly, it offers a built-in spell checker to help you to check the documents. Thirdly, the built-in PDF converter allows you to convert Word, Excel and PowerPoint files into PDF formats. Lastly, offers a large number of templates in WPS Presentation that help you to easily and efficiently create slides directly by using these templates. In addition, WPS Office 10 added several new functions. The powerful paragraph adjustment tool allows you to edit your paragraphs with ease. It supports dropping and dragging the paragraph directly. There is also a table style adjustment function that includes a useful add row or column icon. Simply drop and drag the icon when you need to add a row or column to a table. The multiple tabs function and sophisticated toolbar facilitate quick and convenient file management. With this update, it is now easier to protect your documents. An encryption function is offered as part of Office Professional that allows you to better protect your files. WPS Office Business is normally priced at $44.99 per one year serial number / license key. Giveaway of the Day are having a giveaway of WPS Office 10 Business for PC, where everyone can download a full copy for free. The giveaway will be valid for today only (24 hours on January 21, 2016). To grab your free copy visit the GOTD page here during giveaway period to download the giveaway package. Alternately, here is the direct download link (size 71.2 MB). Please make sure to follow the instructions in the readme.txt file which is included in the package for proper activation. For those who will be missing this giveaway, WPS Office 10 Free, a freeware from the same developer, is also available for download. Beside Office for Windows, there is also WPS Office for Android, iOS, and Linux, which help Android/iOS/Linux users to create documents, workbooks and presentations easily and fast, and most importantly, with no cost. These apps can be downloaded from official home page. Does a one year license mean that the suite will stop working after one year? Dear Jeff, After one year, the full feature will not be free any more, it will be a viewer if the serial key are not entered. But do not worry, the company are likely to have another giveaway before this license expires. In addition, there is always a freeware version of this program available. Thanks William. I might go for it. bad news for you all! i had many virusus from king office pro,really bad ones. Thank you zame77! Wish you all the very best for new year too. This is a cool software but please can you send this to my Gmail account amirazz.1000(at)gmail(dot)com . i have downloaded this version and others and get the same result. Integrity something or rather contact developers for another copy… I Have wasted too much time and data download to bother anymore. Just tested and verified. The offer is still working. If you encounter any problem, feel free to contact Kingsoft support team at [email protected]. Dear BrollyLSSJ, this is a Thanksgiving giveaway by Kingsoft. I shared it here on November 14, 2013 and now sos as well as glarysoft have also shard this offer on their site. This new setup is the newest version and contains a new serial. Dear BrollyLSSJ, thank you very much for the info. It’s also the same setup and the same serial as last time*. *last giveaway from BDJ or GOTD used also the same serial. 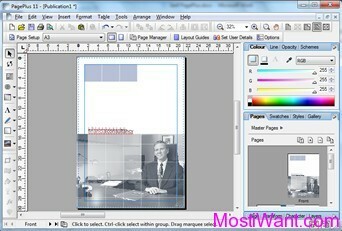 one of the best alternate of MS Office, without any cost.